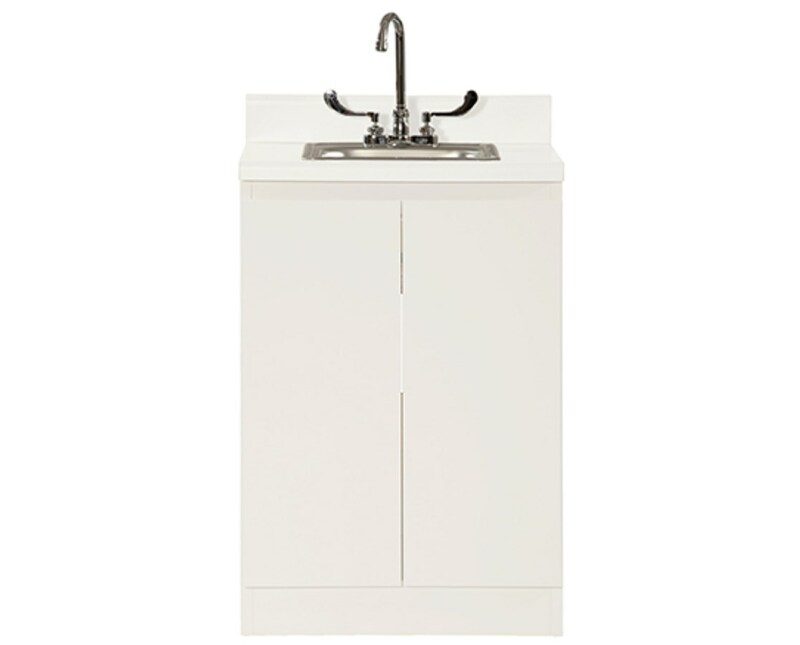 The UMF 6024 24" Modular Base Cabinet with Stainless Steel Sink is the perfect solution for any exam room or healthcare facility. Made of all steel and welded for superior strength and rigidity, the modular base cabinet will hold up to the most demanding circumstances. The stainless steel sink is equipped with stopper basket, and chrome plated goosneck faucet with wrist blade handles for an easy open every time. UMF designed, the modular cabinet features commercial grade, adjustable, springboard hinges to ensure that the two doors operate smoothly. The benefit of a modular cabinet is it can be reconfigured any time it becomes necessary to change the layout of your room. Furthermore, the door fronts on UMF modular cabinets are replaceable, should it ever be decided on the need to change colors. 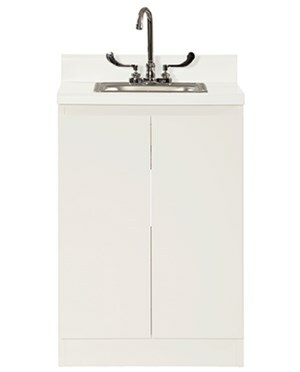 The UMF Modular Base Cabinet with Sink can be ordered in any of the 8 standard UMF colors. View the available color chart and note your choice in the Special Instructions field during checkout. This metal Cabinet manufactured with hospital grade metal 304 gauge, has an unfinished solid back (finished back option is available for upcharge), . Stainless steel sink with stopper basket. Chrome plated gooseneck faucet with wrist blade handles.